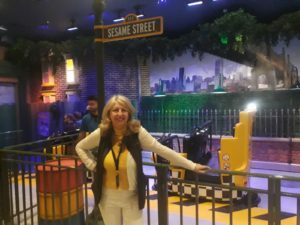 This weekend I was at the opening of a new ride in Portaventura World. 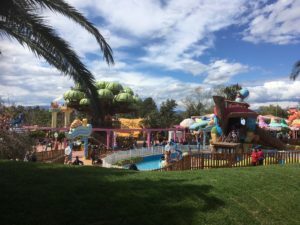 One of Europe’s biggest theme parks, it is set close to the town of Salou, with a variety of choices to excite the whole family. 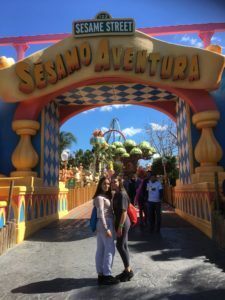 Sesamoventura is one of the worlds that specialises in rides for the younger members of the family. 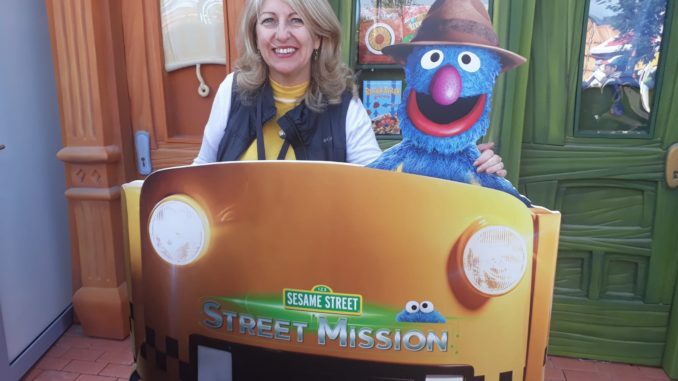 This year, the season kicks off with the arrival of Street Mission, PortAventura World’s first dark ride and the first of its kind to be inspired by Sesame Street®. The new ride is an interactive adventure for all ages where visitors have to help Detective Grover successfully complete a secret mission. 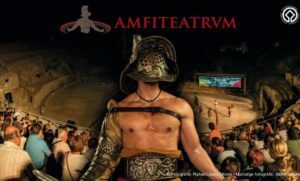 The attraction consists of a pre-show and a 3D ride experience, featuring numerous animatronics and immersive experiences thanks to 3D video mapping technology. 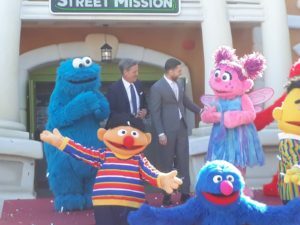 With an investment of 15 million Euros, the project has been created in collaboration with Sesame Workshop®, the nonprofit organization behind Sesame Street®, and Sally Corporation, one of the leading international companies in the development of dark rides and the design of animatronics. On 1 June 2019, PortAventura World will hold the grand opening of its new superior 4-star themed Hotel Colorado Creek, the sixth hotel in the resort. It has 150 rooms of 41 m2 distributed across three buildings, to which will be annexed another building for the restaurant and exclusive car park. The theme will be inspired by the gold rush era of the Wild West and will continue to delve into the history of the hotel complex made up by Hotel Gold River, Hotel Callaghan’s and Hotel Mansión de Lucy. Tapas lunch in the main square of the Old Town was €50 including tip for four people. We stopped off in another bar for a glass of wine and beer which came to €5.70 in the afternoon. 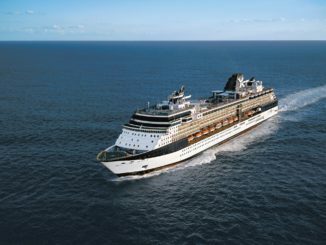 Get your bearings on the train which rides along the coast and circumnavigates the old town. 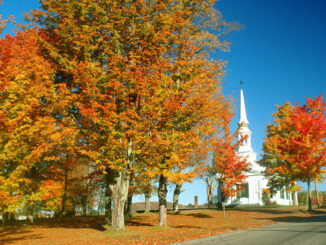 Departures are every half hour April, October and November but more frequent in high season. 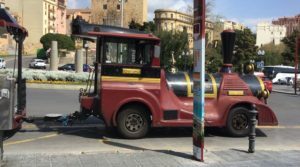 The tour with Tarraco Tren costs €7 for adults and €4 for under 12s. The Town of Reus is birthplace to most notably Antonio Gaudi who is responsible for much of the most applauded architecture in Catalonia, especially Parc Guell, Casa Battlo and The Sagrada Familia in Barcelona. Museum centre dedicated to Antoni Gaudí, the city’s beloved son. The exhibition takes the visitor on a journey through the artist’s life and his relationship with Reus and gives insight into his creative method. Moreover, it offers the possibility of interacting with his work thanks to state-of-the-art audiovisual technology. 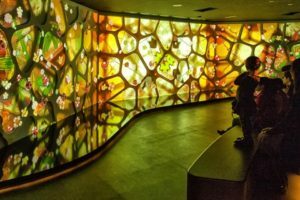 Equipped with modern infrastructures and the most advanced audiovisual technology, the Gaudí Centre Museum aims to give its visitors a closer look at the work of Antoni Gaudí via the use of their five senses. Visitors can experience the physiognomy of Gaudi’s shapes through touch, sound and sight, and enter into the personal concept of reality that inspired this artist’s works. Nature, as the main source of inspiration for his work, is present in each one of the shapes that can be seen and touched so as to represent this master artist’s imagination. 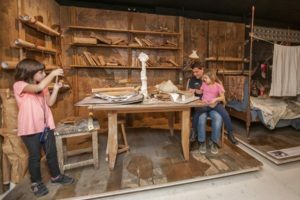 The museum thus intends to attract children, young people and adults and make them into participants in the most unique and representative works in all of Catalonian art. The three-storey building gathers all the elements needed to understand the work of this artist from Reus. 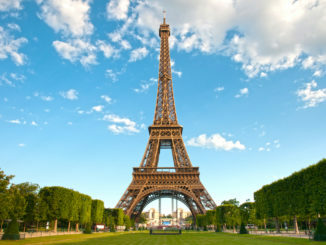 The first floor deals with the relationship he had with the city of his birth. Here some of his manuscripts and drafts are displayed. It also provides a journey through the Modernist works left by Gaudí as a legacy. The second floor is wholly dedicated to his artistic ideas. Visitors can discover the secrets of his visual imagination through interactive models and equipment. Lastly and on the third floor, we can see a multi-screen audiovisual show and touch models of the key works that have made the artist such a universal icon. Furthermore to these facilities, the museum has a temporary exhibition hall, the Bassegoda room, a gift shop and the Gaudí Gaudir restaurant, on the top floor and with splendid views of the old quarter of Reus. 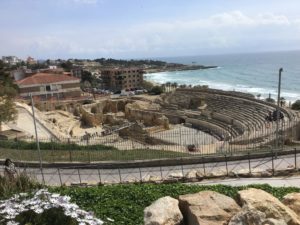 Salou is popular for hen and stag parties, there were several there this weekend although it is still very early in the season and many of the pubs and restaurants are shut. This package from Tui is for June and this property is in a great location nice and quiet on the long sandy beach.